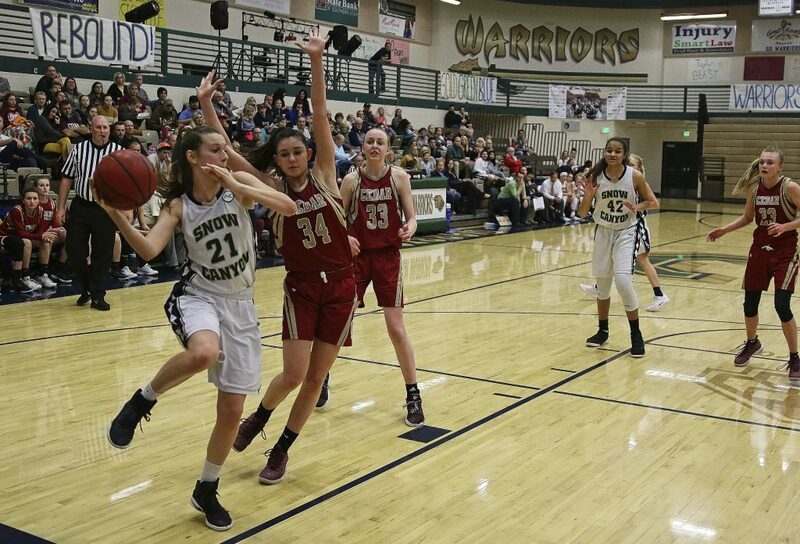 ST. GEORGE — Cedar High, which Snow Canyon coach Ryan Rarick called the “best team in the state,” got a run for its money from Rarick’s Warriors, who gave the Lady Reds all they could handle Thursday before fading over the final quarter. 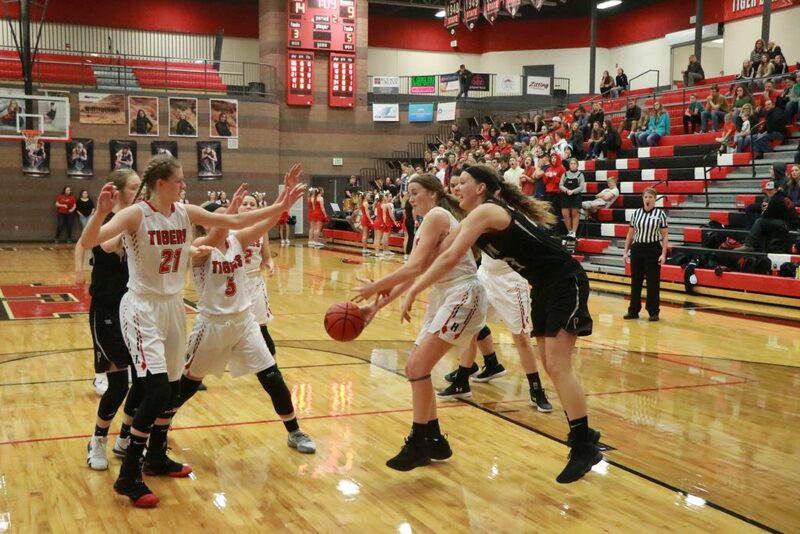 Meanwhile, Hurricane held off Pine View, and Dixie nearly let a 13-point lead slip away before beating Desert Hills. 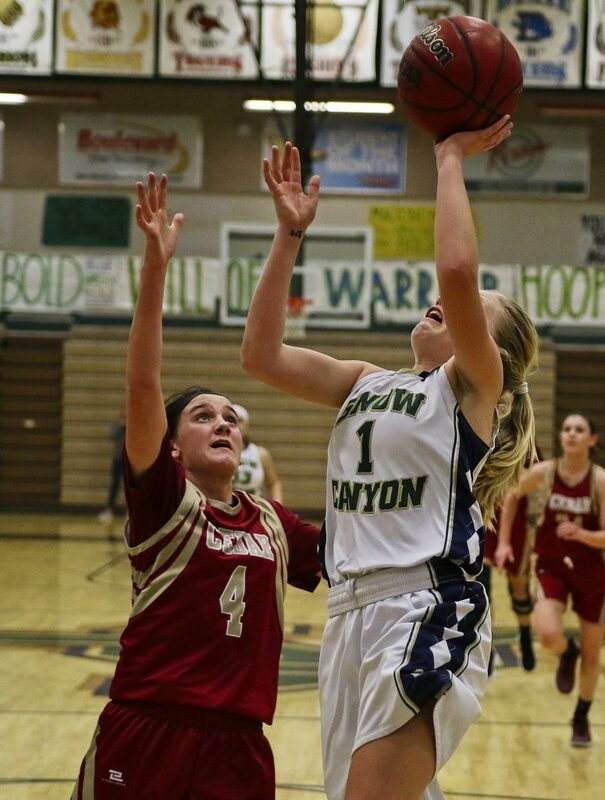 At Snow Canyon, the undefeated Lady Reds bounced back from a nine-point first-half deficit to defeat Snow Canyon, 59-52. 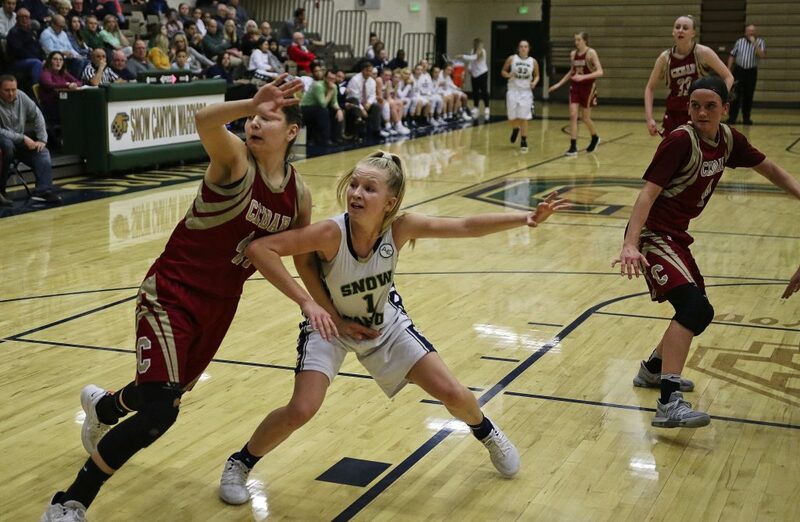 Cedar led 12-11 after one quarter, but Snow Canyon outscored the Lady Reds 15-5 during the second period to take a 26-17 halftime lead. Cedar then returned the favor in the third quarter, outscoring the Lady Warriors 19-9 to take a 36-35 lead heading into the fourth. 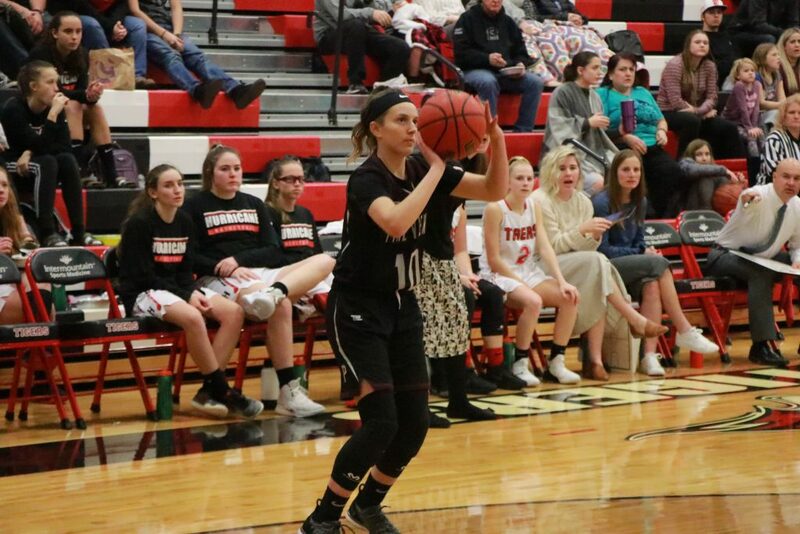 Cedar guard Logann Laws scored seven of her game-high 22 points in the fourth quarter, all on free throws, as the Lady Reds pulled away at in the closing minutes. Center Denim Henkel added 13 points for Cedar, all in the second half. 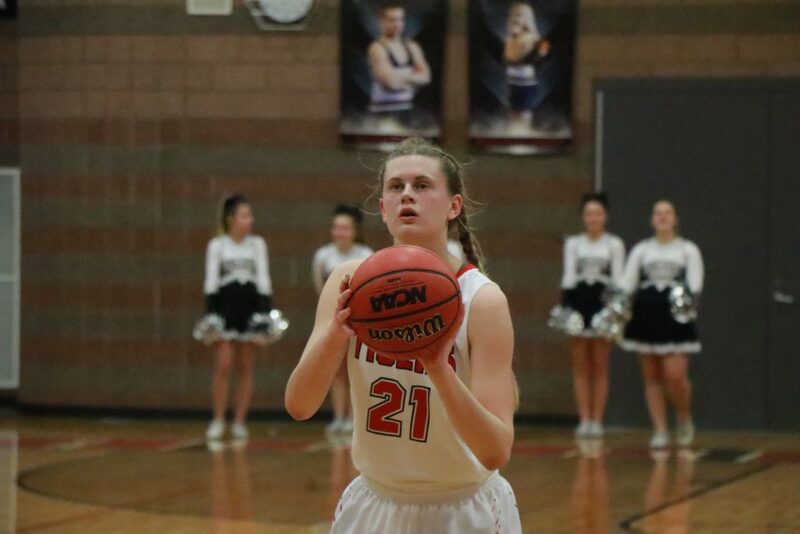 The Lady Warriors were led by guard Tylei Jensen’s 21 points, while Olivia Harris and Hallie Remund added 9 points apiece. Harris also had four steals, and Braillen Halalilo pulled down a team-high eight rebounds. Cedar, which improved to 5-0 in region play with the victory, hosts Hurricane on Tuesday at 7 p.m. 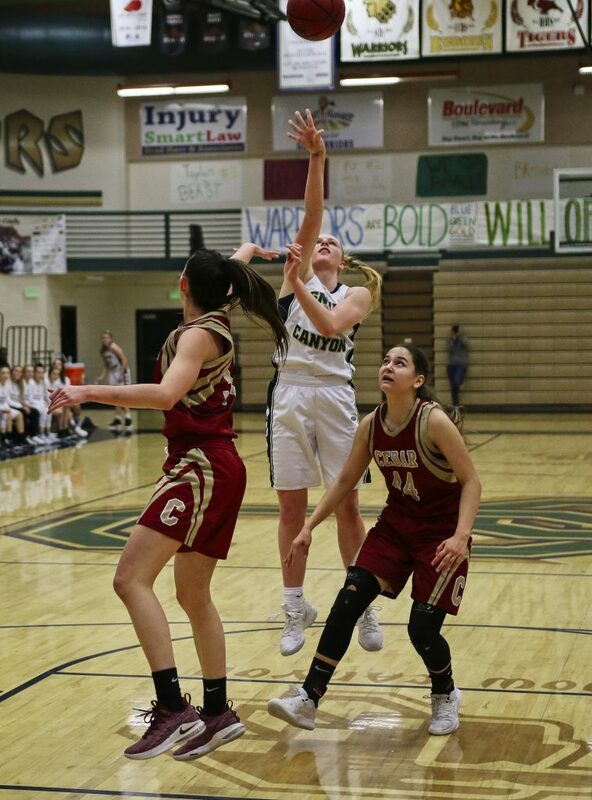 Snow Canyon, which dropped to 4-2 but stayed in second place in the standings, has a bye Tuesday but will play at Canyon View on Thursday at 7 p.m.
At Hurricane, the Lady Tigers picked up their second region win of the season with a 49-43 victory over Pine View. Hurricane led much of the first half, which ended with the Lady Tigers ahead 25-19. Pine View rallied during the third period to pull within two points, 36-34, heading into the final quarter. Early in the fourth, Pine View’s Alex Olson made a 3-pointer to put the Panthers up 37-36. Approximately 30 seconds later, Olson drained a jumper to increase the lead to three, 39-36. 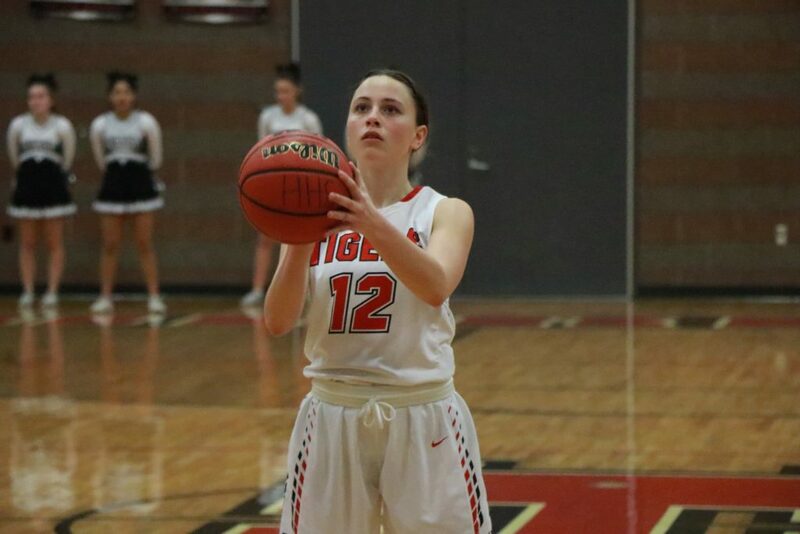 With just under 5 minutes remaining, Hurricane’s Madi Hirschi drained a straightaway 3-pointer to put the Tigers back on top, 41-40. 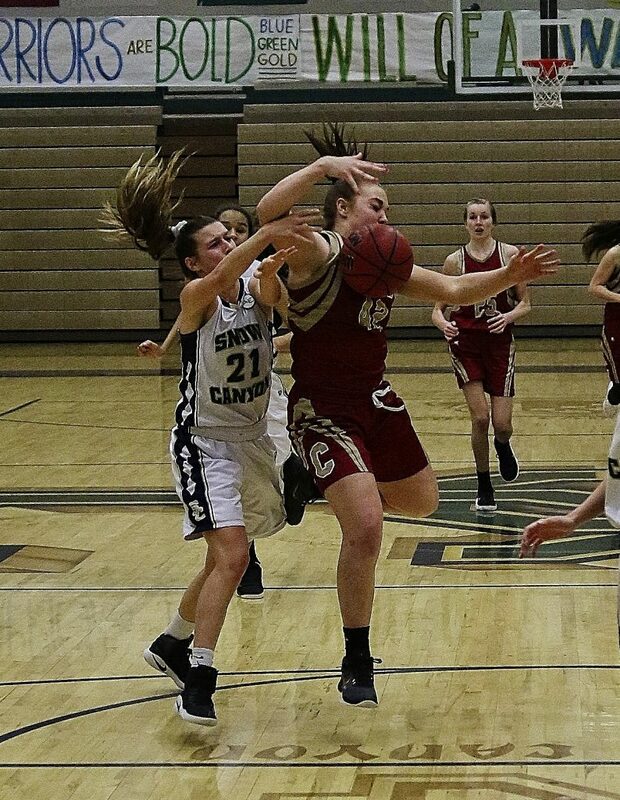 A couple minutes later, teammate Hailey Homer extended that lead by two more points after getting fouled during a reverse layup attempt from the baseline. Homer swished both free throws to make it 43-40. 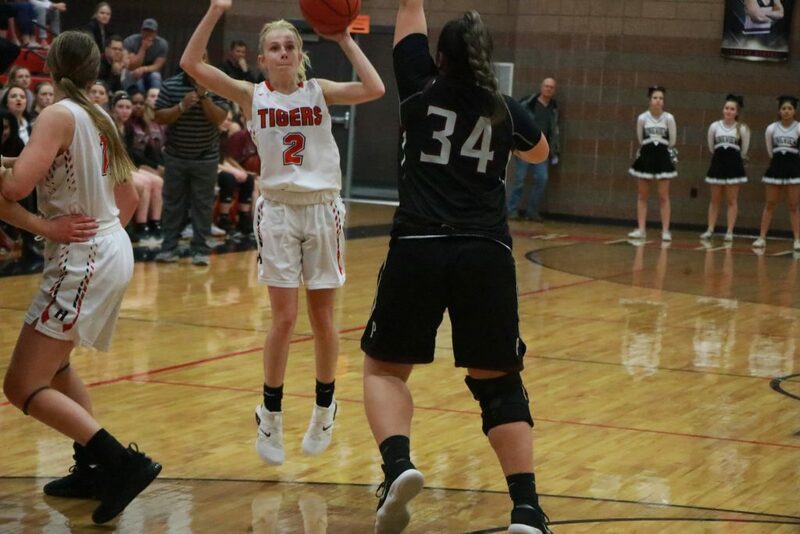 All of Hurricane’s remaining points were scored from the free throw line in the last 1:30 of the game, with the Lady Tigers converting 6-of-7 from the line during that stretch. 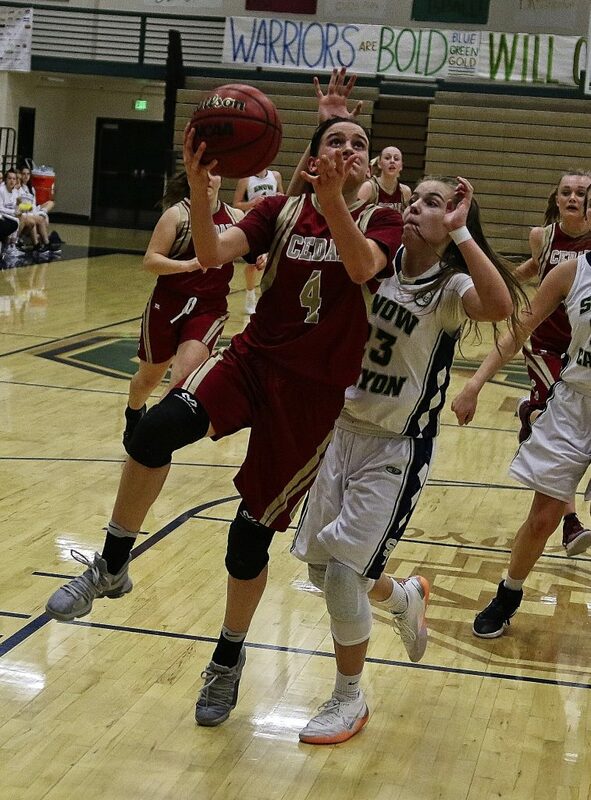 Pine View managed to get within three points on a layup by Sophia Jensen with 55 seconds left, but could get no closer the rest of the way. “Our goal tonight was to focus on rebounding and try to contain Averi Papa inside, who has been playing outstanding for them,” Hurricane head coach Franci Homer said. 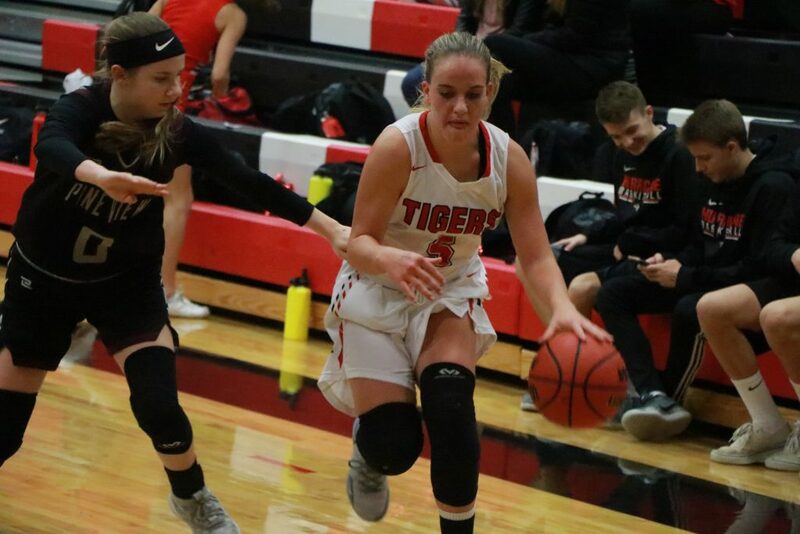 The Lady Tigers were led by Hailey Homer’s 16 points, while Kailee Yardley and Kandalyn Hinton added 8 points each. 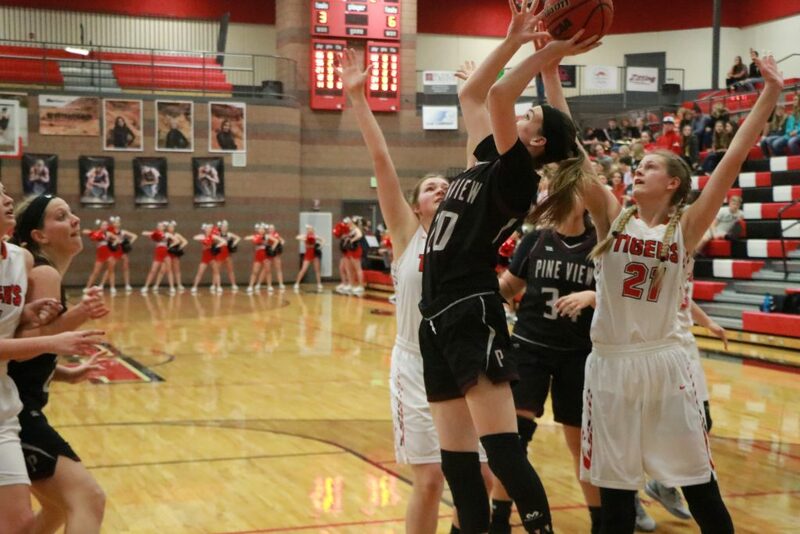 Papa led Pine View with 11 points and 11 rebounds, while Jensen added 10 points. 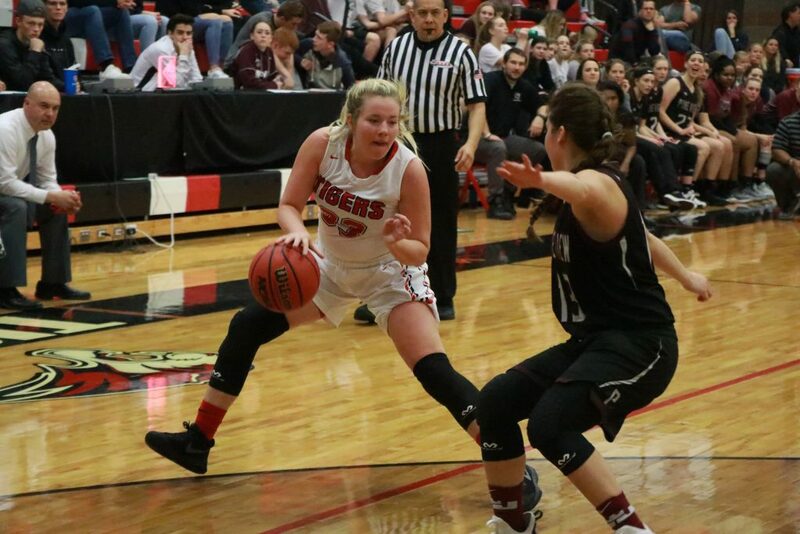 Although the Lady Panthers dropped to 0-5 in Region 9 play with the loss, four of their losses have been by seven points or fewer. 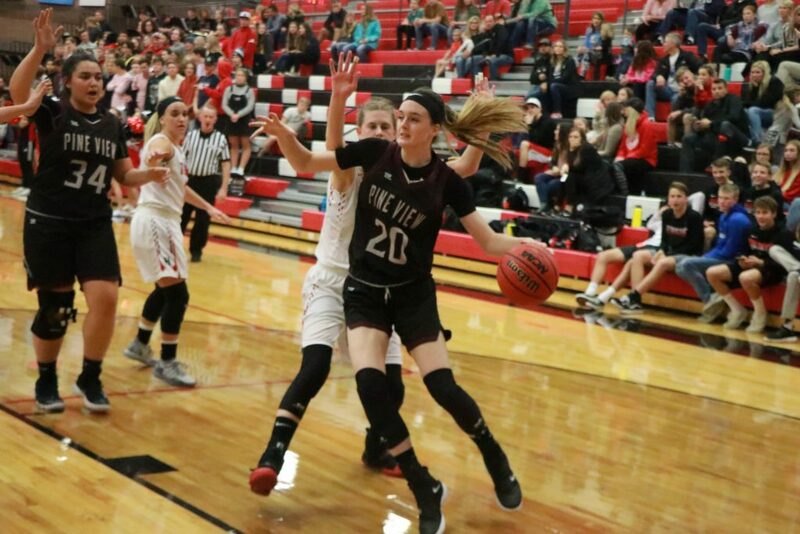 Pine View hosts Desert Hills Tuesday at 7 p.m.
Hurricane, which improved to 2-3 in the Region 9 standings, plays at region-leading Cedar at 7 p.m. Tuesday. 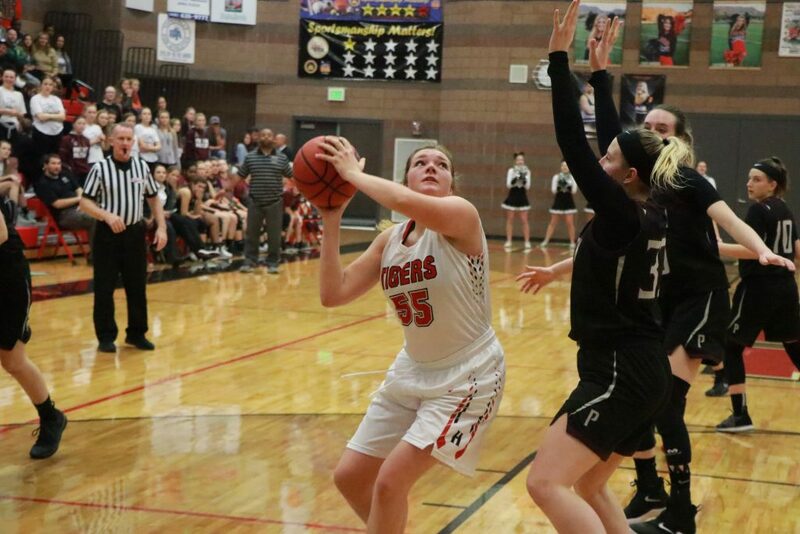 At Desert Hills, the Dixie Lady Flyers built a sizable first-half lead, then withstood a late rally to defeat Desert Hills, 60-56. Both teams are now tied for third place in the Region 9 standings with 3-2 records. Dixie led 19-14 after one quarter, then outscored the Lady Thunder 19-9 in the second period to take a 38-25 halftime lead. Dixie made six 3-pointers during the first half, including three by Joslyn Bundy. 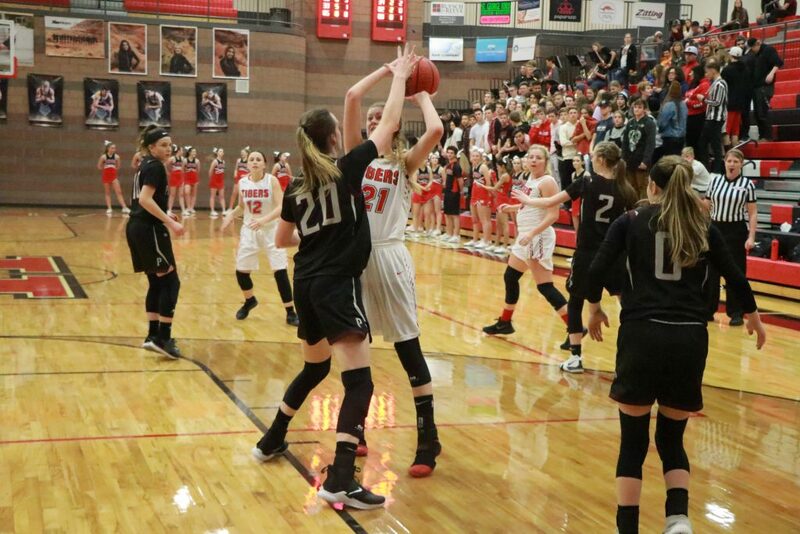 After battling evenly throughout the third quarter, Desert Hills mounted a 20-11 run in the fourth that ultimately fell short. Half of the Thunder’s points in the final quarter came on free throws. “I’m really happy for our team tonight,” Forsey said. “Going on the road into Desert Hills and coming out with a win is always a tall task. Offensively, in the first half, everything was clicking for us. In the second half, we were just able to hang on enough for the win. Tapasa led the Lady Flyers with 16 points, while Bundy added 14 and Sina Schwalger contributed 12. Mel Alo added nine points and grabbed a team-high nine rebounds for Dixie. 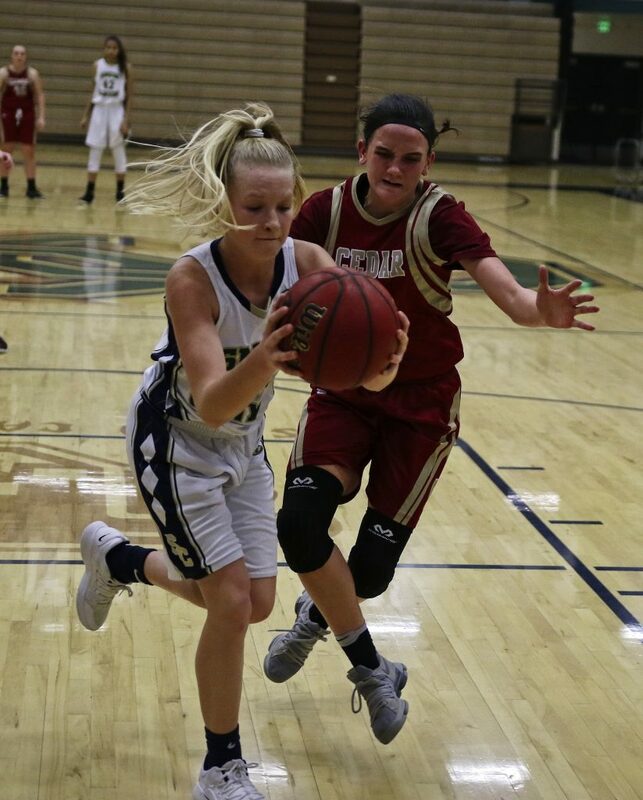 Desert Hills was led by Katelyn Philips, who scored 17, while teammate Kellie Nance added 15. Dixie, now 3-2 in region play, hosts Canyon View on Tuesday at 7 p.m. Desert Hills, which dropped to 3-2 in region play, plays at Pine View that same evening.